The Isle is a super-sized Greenland style design with all their great qualities for a larger paddler. Sized comparably to our Solstice GT Titan, it's a unique alternative to a North American style design. Great handling and incredibly efficient, the Isle is an awesome long distance tripping kayak. 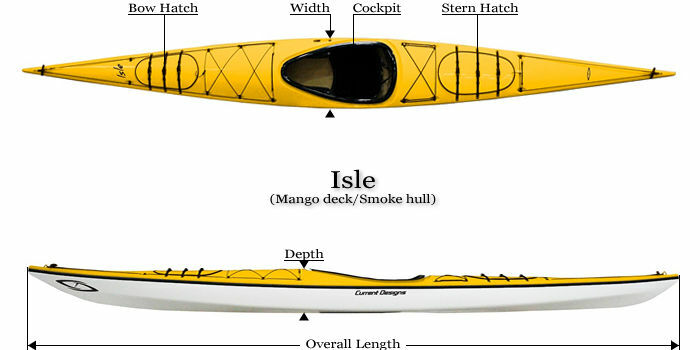 If you need a big person boat and seek the edging, rolling, and paddling qualities of a hard chine kayak, the Isle is the boat for you. Skeg, back band, and thigh braces come standard. Symmetrical Form: Symmetrical form is just as it sounds. The shape is identical fore and aft from the center point of the kayak. 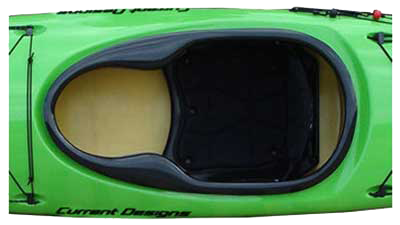 Hard Chine: A hard chine kayak has a well defined edge where the hull bottom meets the sides. This increases the initial stability greatly. Hard chines give defined edging angles and assist in holding an edge. Shallow V: The “V” shape improves tracking, has a lively feel and delivers very comfortable stability. Touring Cockpit: Touring cockpits are somewhat small to help resist imploding of the spray skirt if hit by a large wave in rough water. They include built-in thigh braces on the cockpit rim to maximize control when edging and rolling. They range from 29” to 35” long, depending on the model. Customize With Color: Any of our fifteen colors can be used for a custom deck, hull, cockpit coaming or seam stripe color by special order at no additional charge. Get creative and make your kayak uniquely yours! Actual colors may vary due to display differences. Our vacuum-bagged fiberglass laminate is a notch above most other fiberglass products on the market. Vacuum-bagging allows us to select and place reinforcing materials to provide the optimal strength and stiffness properties without adding unnecessary weight. The result is a superbly crafted composite kayak that's impeccably finished inside and out. We use genuine Dupont Kevlar® in our kayaks. You'll notice the lightness of our Kevlar® kayaks the first time you pick one up. You'll also appreciate its easy lift on and off the car and its intimate responsiveness on the water. Kevlar® is an optional layup for our Performance Touring models.